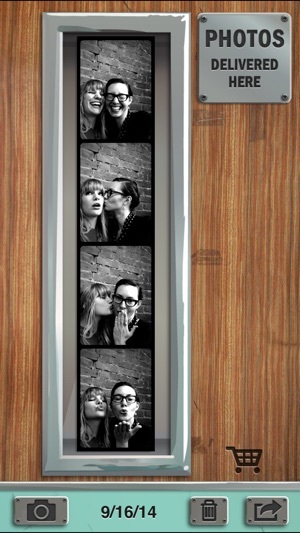 Pocketbooth takes a series of photos just seconds apart to create stunning photo strips of your memorable moments. Pose with friends, lovers, family, or pets, and if none are available, don’t worry. Pocketbooth is ideal for spontaneous self-portraits as well. And with the new Party Pack, you can turn Pocketbooth into the ultimate party machine. A photo booth would only be half the fun if you couldn’t share the strips with your friends. Pocketbooth lets you do that, too. 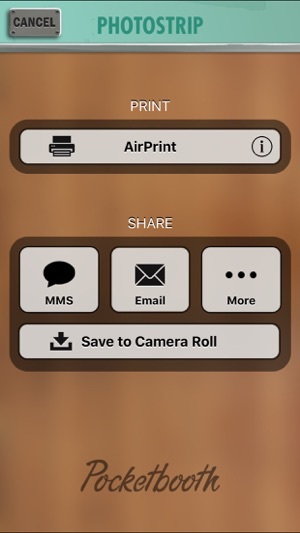 With just a few taps you can post your photostrips to Facebook and Twitter, send them by email, or wirelessly print them on your AirPrint-enabled home printer. Printed strips make great gifts, wall hangings, locker decorations, love letter inserts, and more. Pocketbooth includes five beautiful photo effects, two paper types and two border styles for your photo strips.If you yearn for more photo booth goodness, fear not! You’ll have the option to purchase additional filter/border expansion packs from within the app. Check out our other app Pocketbooth Party! 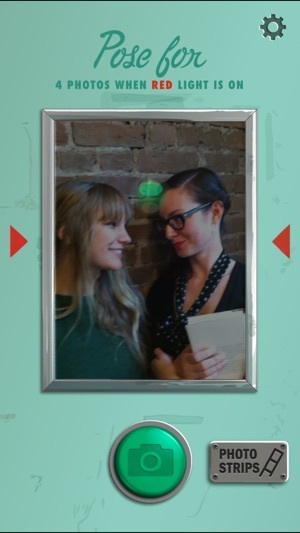 Pocketbooth Party is Pocketbooth reimagined for use at your next party or event. Customize the booth skin as well as the resulting photos. Pocketbooth Party is formatted for 4x6 prints rather than the vintage strips. Take a look and enjoy! 4 hours into a trial with this app, and to this point it is very much a mixed bag with most features working as advertised, but cannot MMS to a mobile number. Can email photo strips just fine but cannot MMS. With virtually zero online instruction other than a few FAQ, it is trial and error. Grateful that Tim has responded but regret a lack of progress getting this resolved. Have reviewed iPad settings and not seeing anything amiss. I worked in tech support many years and appreciate the frustrations on both ends when things do not work as advertised. Update: our goal is for attendees to be able to send images to their mobile devices using a mobile number. Tech support has just given a well-detailed explanation of why the iOS is working against our goal, so it seems clear that this is an iOS issue and not an issue with the app. My suggestion is that the developers give more info on the front end to create realistic expectations and avoid frustration, but otherwise I do appreciate the effort. Hi Tam, I know we emailed extensively following your purchase of this app, but I wanted to leave a few notes here for future buyers. We give as much information as we think is helpful on the front end, but we are always learning. The particular issue you encountered was the first time we saw it and as a result there was nothing in our FAQ. We have since added information about it in the FAQ. Because there is no way we can possibly anticipate every scenario our customers will run into, we pride ourselves on prompt, friendly, and thorough customer support via email, which I believe you benefitted from. At the end of the day, the issue you encountered is due to MMS on the iPad being reliant on pairing a phone (and its number) to the iPad in order to send text messages to non-iOS devices. This is a limitation of the iPad. You say that "most features" worked as advertised - were there other problems you encountered? We'd love to know about them. I bought the app along with the party mode option and have been playing with it before we take it live for out wedding. I'm thrilled to have a viable option to diy our own booth versus renting one for hundreds! It's printed flawlessly and I love how it's customizable. The one thing missing is an on screen countdown to let you know when the picture is about to take. Is there an option to show it that I'm just missing? If not, could you add that feature in? Hi Bethy. Thanks for the kind words. 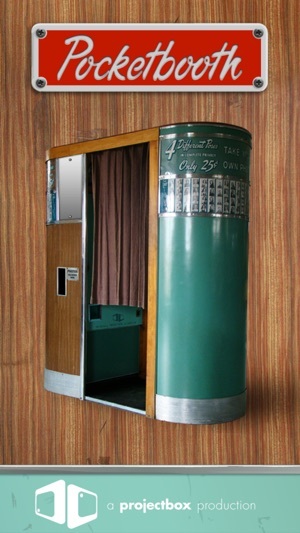 We don't plan on adding a countdown only because the historic booths this app is based on didn't have a countdown. But we're not just being stubborn - we think the lack of a countdown actually added to the charm of the old booths and helped catch subjects in unguarded moments. The original booths did have a red light behind the glass that would turn on as if to say "freeze! photo coming". Our app dutifully replicates the behavior of that light. Hope that helps! I am trying to use this app for my daughters 13th bday., and there is no option for a front facing camera to see if they fit in the screen. I've tried everything and looked in settings, but still couldn't find a way to make it work. So. I thought maybe I needed to buy the $4.99 party pack to allow that feature, but nope...paid for it, and literally there are no noticeable differences. Why did I just spend that money for no extra features?!? Hi. There is a big silver button on the main screen that toggles between front- and rear-facing cameras. You can also access the same toggle in the Settings. I apologize that you ended up thinking that feature was included in the Event Pack. The extra features in the Event Pack are Remote Shutter (you can use a remote with the app), Event Mode (this allows the app to stay on the main screen), Auto-Printing, and as of the latest release, Advanced Printing which lets you print the strips 2-up or 3-up on a page.